Slightly awkward departure from Villa Anticus, our hotel, this morning. When we checked in, the proprietor was at pains to tell us not to allow any strangers to follow us us in through the front door. “There are many people passing here. Guests have their own key. Do not let anyone enter!” Pause for emphasis. “Do not forget!”. 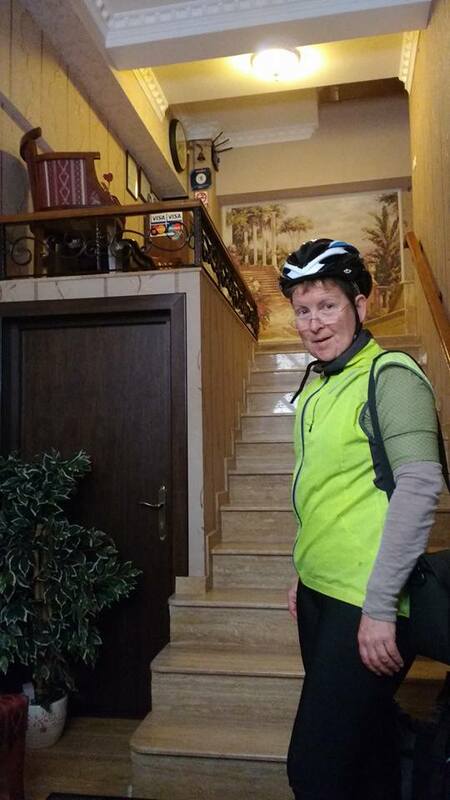 This morning, ready to leave and waiting for our bikes to be brought up from the cellar, I thought I would step outside and ring the doorbell to get attention. Step back inside and conscious of someone following me. Put shoulder firmly against door to thwart the invader. Eventually realise it is our host and I am expelling him forcefully from his own house! 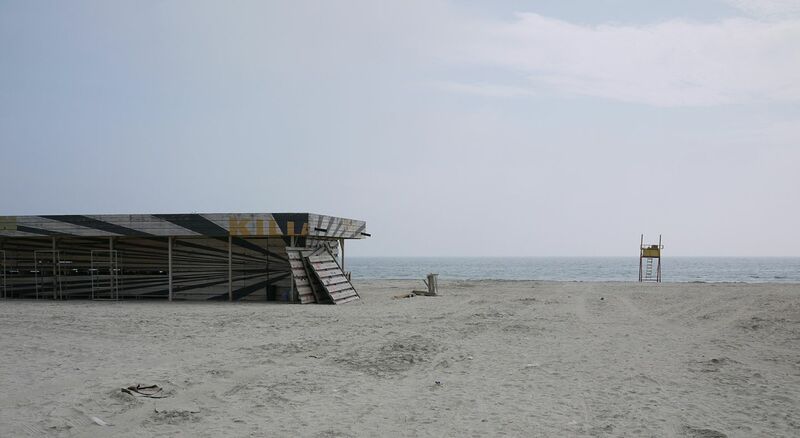 North of Constanta, the Mamaia beach strip stretches for miles and miles. It’s extraordinary how much accommodation capacity is available on this coast, and more part-built on the way. Then again, Romania has less than 100km of beachy coastline, for a population of 7 million, so they have to pack them in. Picnic lunch in Säcele, where an old fellow with a long staff was sitting on a nearby bench. A few spots of rain and he retreats into a covered bus stop. Rain dries up and he emerges again. I become convinced he has been engaged by the village as a life-sized Austrian weather house. Half an hour before we were due to arrive at our isolated hotel in Baia, the heavens opened with an almighty thunderstorm. Absolutely pelted with rain. But welcomed in to a comfortable room with whirlpool bath. It seemed like fun to share the bath but forgot that cyclists at the end of the day are prone to cramp; cue comedy leaps, splashes and stretches.